Reports to: Director of this department directly or through various supervisory and management personnel of this department. Installs, modifies, and makes repairs to computer and network hardware and software systems and provides technical assistance and training to system users by performing the following duties. 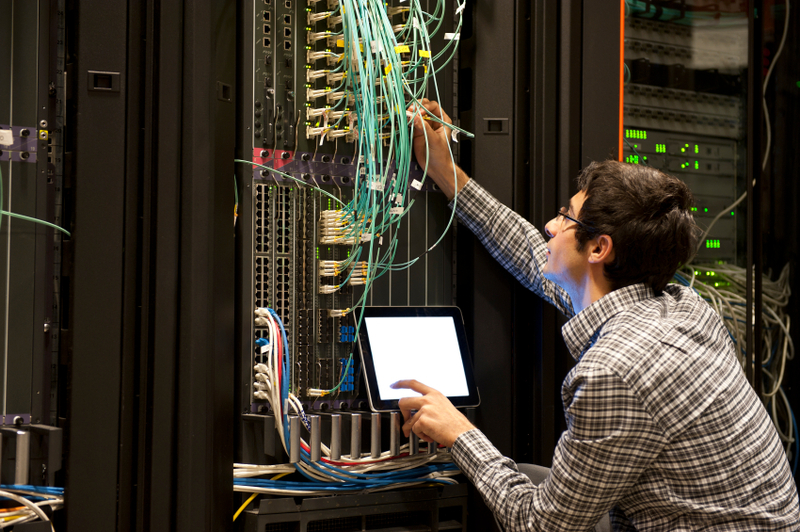 Performs preventive maintenance on computer and network equipment, including peripheral components. Aids in managing and maintaining the reliability of the nightly backup process. Assures that anti-virus products remain up to date and that any infections are addressed efficiently and effectively. Supports all documentation efforts for any hardware, software, or processes related to the IT Department’s responsibilities. Participate in scheduled off-hour maintenance events. Interact with vendors and consultants as required. Deploys software out to user community and leverage approved methodology. Answers user inquiries electronically, in person, and/or via telephone concerning systems operation. Diagnoses system hardware, software, and operator problems. Recommends or performs remedial actions to correct problems. Responds to requests for repairs to hardware; refers repairs beyond his/her scope of experience or abilities to an appropriate source. Assists and trains employees and customers in use of hardware and software. Maintains work and storage areas in a neat and orderly fashion. Interacts with employees and customers in a courteous and professional manner. Relies on experience and judgement to plan and accomplish goals. Performs a variety of complicated tasks. Resolves highly complex technical issues, conducts advanced research, and identifies product/service innovations. Maintains inventory of all computer and network hardware, software, repair parts, and computer and network supplies. Strong verbal and written communications skills with the ability to articulate complex concepts to both a technical and non-technical audience. Appearance must be neat and professional, conducive to an office and field environment. Use of a private vehicle and a valid Kentucky driver’s license with a verifiable good driving record and proof of insurance. Project a cooperative, professional and positive attitude toward customers and employees. Two to Five years prior experience as a Computer/Network Technician preferred. Certification in Computer or Systems Service or Repair. Knowledgeable of enterprise anti-virus solutions. Proficient with Active Directory administration, including Group Policy and log in scripts. Exposure to enterprise backup software solutions. Familiarity with basic physical networking technologies and configurations. Demonstrate effective decision making, results delivery and team building, as well as the ability to stay current with relevant technology and innovation. Excellent time management skills with the ability to shift focus dependent on changing priorities. Good interpersonal communication skills required. To physically transport computers, peripherals and network components from place to place. To assemble and disassemble computers, peripherals and network components. To pack and unpack computers, peripherals and network components. To work in tight physical confines, when necessary. Commensurate with experience, education, certifications, licenses, registrations and length of employment with Lycom Communications, Inc. to be determined, fixed, and modified by the Director of Information Technology. Lycom Communications provides generous benefits. Health care and retirement benefits are significant portions of the total compensation package at Lycom Communications Inc., and we invest more in those benefits than most employers. In addition, we offer competitive paid-time-off programs, work-life resources, and discounted pricing on Lycom Communications, Inc. residential products and services for employees. Our hope is that, by providing our employees with rich and flexible benefits, we can help them take care of the people who matter most – at work and at home.